Mcdonalds has a new contest! 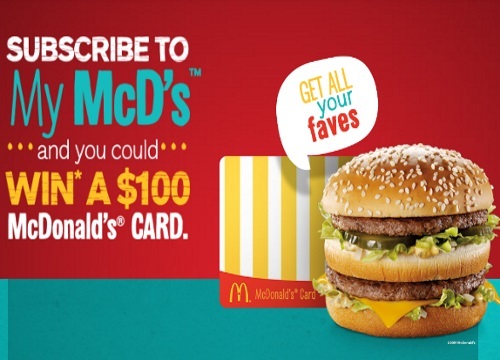 Enter too win a $100 Mcdonalds gift card! There are 20 prizes to be won, each of a $100 Mcdonalds gift card. To enter just sign up for the Mcdonalds newsletter at the link below. Get an extra 10 chances to win by taking a quick survey after you subscribe. Contest closes July 31 2016.